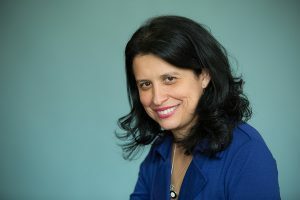 The ability to act quickly in response to inevitable and unpredictable change may be a manager’s most important asset, says Bauer College Associate Professor Dusya Vera. “In so many industries where things move so fast, and where you have to react very quickly to what competitors are doing or what customers are requesting, the ability to be creative and spontaneous on the go, it’s helpful,” she says. Vera’s research has been published in top academic journals such as The Academy of Management Review, Organization Science, The Leadership Quarterly, Journal of Management and others. But in addition to those identifiable characteristics of individuals, groups and organizations, Vera says many of her best insights about improvisation have surfaced as she has had to respond to the challenges of parenthood. Two of her three children have autism, which creates unique challenges and rewards and plenty of opportunities to improvise, think on your feet and go with the flow. “Parenthood, and life in general, teaches us to embrace the journey, enjoying the process of living, without attachment to final outcomes. The greatest lessons of my life come from these three kids,” Vera says.